GRAMMY nominee and Dove Award winner Danny Gokey is back with new music for the first time in almost 2 years. 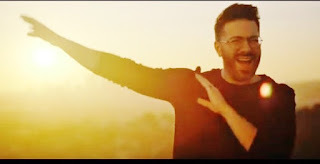 Gokey released the official music video for his new single "Haven't Seen It Yet" this week. The new track is now available for download on iTunes. "Feeling frustrated and deflated when you take inventory of your life because you’re not where you thought you were supposed to be? Take heart, IT’S NOT OVER," Gokey shared on social media when speaking about the message behind his new song. "You’re actually closer than you think you are. HE WILL FINISH THE WORK HE STARTED IN YOU!" Music video by Danny Gokey performing Haven't Seen It Yet. © 2019 Danny Gokey, under exclusive license to Capitol Christian Music Group, Inc.